How do I transfer an individual client to a colleague? 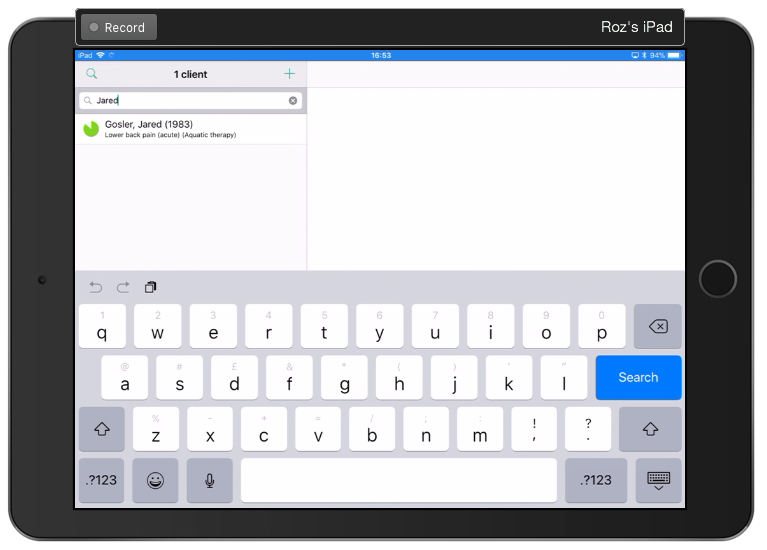 Physitrack allows you to transfer a client to another colleague's Physitrack account. This is particularly useful when covering staff sickness or leave. 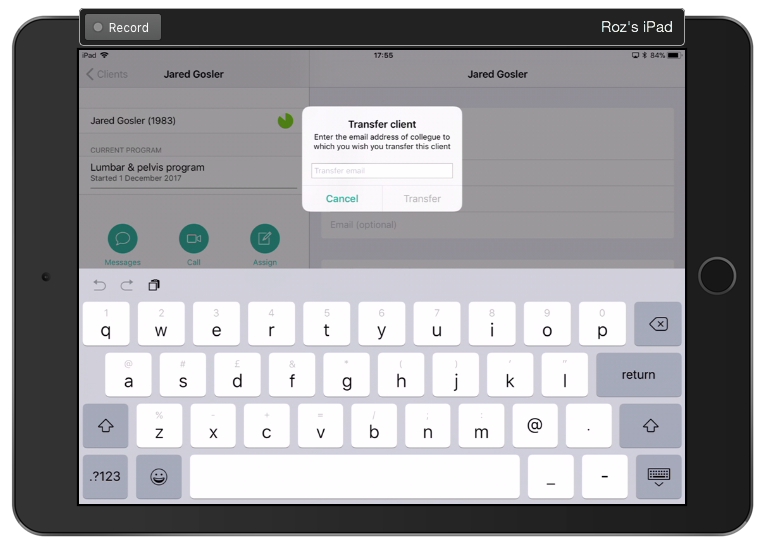 Note: Physitrack iOS only lets you transfer a client, meaning your client will move from your list to your colleagues. 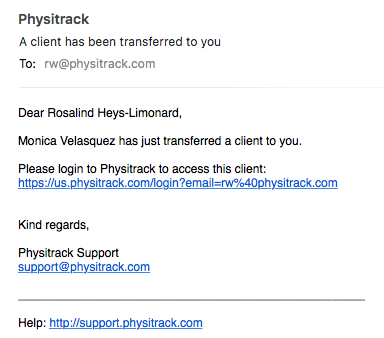 To share a client, at present you can do this by accessing your Physitrack account on the web. Have a look at our help docs at the bottom of this page if you're not sure how. Tap on your client's name to open up their file. Tap on their name in their file (top left) to edit their details, and also find transfer and download options. 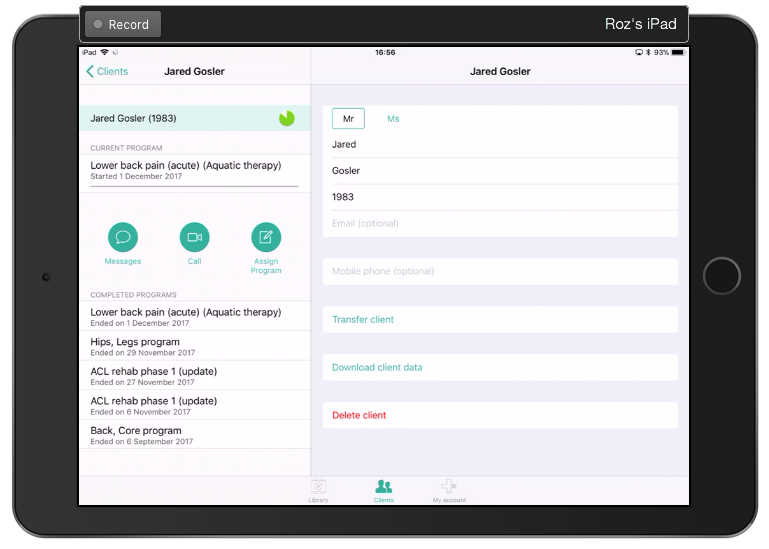 Finally, tap "Transfer client" and enter the email address attached to your colleagues Physitrack account. Tap "Transfer" to complete the process. Your colleague will receive an email notifying them of this transfer. 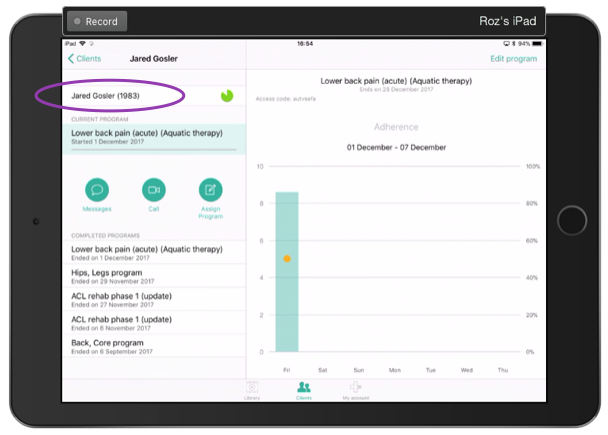 This patient will now automatically appear in your colleague's Physitrack Clients list. How do I share all my clients, programs, exercises and questionnaires with my colleague?